Let us not forget: South Florida, like New Orleans, is a swamp. In Uber Tides, I made the point that the Man-Did-This Community would assert that Anthropogenic Global Warming caused the high tides we experienced last week, not the spring tide conjoined with a Supermoon. Dissenter: But of course rising sea levels wouldn’t have anything to do with a super high, high tide I’m sure. Me: It would be good to actually read the piece and the comments before quoting your mantra. See, I live right in the middle of where I have to worry about my pedicure in this unusually high tide. Want to tell me how much the rising sea levels have raised the water at my sea wall? I want an actual number. Did actual mean sea level rise an inch or a foot? Did it rise a tenth of an inch or ten feet? Actual sea level, not the height of the tide. Dissenter: You know, if you bothered to read something other than what suits your prejudice, you’d know that the coastal communities in many parts of Florida are busy raising the level of the streets because storm surge is a lot higher than it used to be. The ocean isn’t a bath tub. Me: Data please. How much has the mean sea level risen? An inch or a foot? Did it rise a tenth of an inch or ten feet? Actual sea level, not the height of the tide, not the amount of storm surge. Dissenter: sad…you can’t figure out this is the same thing….I’m not your librarian, go find out for yourself. You don’t want to know. You’ve already got your gospel. See, folks making this kind of argument make an assertion. They refuse to back it up with data. They blame the other guy for not being willing to do their homework. That’s not the way to play. If you claim rising sea levels partly cause a super high tide, you must have data on rising sea levels, right? You do have the data, right? I do have some interesting data from climate.gov but finding a definitive measurement of sea level value has escaped me. That seems odd. I can tell you with certainty that Lake Champlain is exactly 94.18 feet and a chilly 47 degrees as measured at the USGS gage in Burlington Harbor. I can tell you with certainty that Lake Okeechobee‘s current lake level is 14.98 feet. And I can tell you with certainty that searching for “Atlantic Ocean Water Level at Miami” or “Florida Straits Ocean Water Level at Marathon” or any of a number of other terms turns up 4-500,000 results warning of Tidal Flooding and Sea Level Rise but not one single actual data point for the current average sea level at Sombrero Key (Hawk Channel), or Miami Beach, or any other coastal location. I can only posit that the AGW alarmists are afraid to publish the data because it would contradict their story line. Because it wouldn’t sell newspapers. Because it wouldn’t fund government grants. And that’s how you win an argument today: make up a crisis and then tell the other guys to prove you’re wrong. Show me the numbers. Until then, let us not forget; South Florida, like New Orleans, is a swamp. Storm surge, high tides, and other weather events will continue to inundate the land we humans kind of stupidly live on. In another recent discussion, I mentioned that I did not like it when “a right wing rug chewer” called me a “baby killer” back in the 90s (I’m pro-choice) and that I don’t like being called a “racist” or worse by the anti-Trumpers today. No discussion of why the lefty loons love to play the race card for anyone who might (might) vote against Mr. Obama or vote for Mr. Trump. Just an epithet. Gekko discussed slang, cant, idiom, argot, code words, and the like, the special words that people use to make it explicitly tough for outsiders to understand. That first answer deliberately took a non-traditional meaning of one phrase to twist the discussion away from the Left consistently playing the race card. And that’s how you win an argument today: make up a politically correct disparagement and divert all attention from the facts so no one notices how wrong you were. “Who is posting this crap?” a friend asked. She had found page after page of Obama-and-Hitler-similarities.com links. She had asked after I made the point that there are still a lot of “Trump is Hitler” comparisons floating around from my uber-Left friends and commented that one official corollary to Godwin’s Law is that, once the Nazis are invoked, whoever played the Hitler card has fallen straight into horse puckey and lost. That is the way to run a discussion. I had made a claim. My friend not only hadn’t seen what I referred to, she didn’t really believe it. Me: “It’s interesting that the ‘All the News That’s Fit to Print’ NYTimes is so often the ‘All the News That Fits Our Politics’ NYTimes. I found the references to arrests and violence in the Wall Street Journal. Perfect. I had made a claim. My friend wanted me to back up my claim. I did. She looked for other examples. We both learned stuff. The whole discussion could have ended right there. • Called me names for bringing it up (no, I’m not going to repeat that part). • Claimed that no one ever made the comparison. 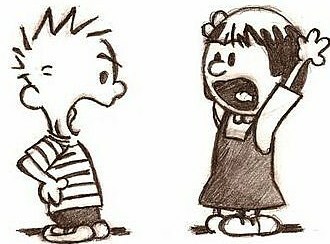 And that’s how you win an argument on the Left today: make up a diversion or make up some facts or blame the messenger. If you noticed, nowhere in that discussion did anyone actually refute the fact that my uber-Left friends still make a lot of “Trump is Hitler” comparisons. And all we can do is shake our heads. I hate hate hate fighting these same alligators over and over again when all I came to do was drain the darned swamp. I may be the last real liberal. I have been offline and sort of out of touch for a few. CBS Sunday Morning looked at the line in the sand between liberals and conservatives by asking Nancy Giles and Ben Stein to do essays on why they come down on one side or the other. liberal adj. Willing to respect or accept behavior or opinions different from one’s own. In fact, I couldn’t agree more that we need a mix of voices. Mine is right, of course, but others do add color and flavor and nuance and, yes, more data to what I say. Hey! I must be a liberal. The bad news is two-fold. One is the simple fact that none of the other liberals I know are actually willing to listen to other voices or see the larger perspective. The most recent example is that of picketers trying to shut down the voice of Lenore Broughton the driving force behind the Vermonters First super PAC. Oh. I must be the only liberal. And then there is the case of Islam. Many believe Islam is a religion of terror and war and destruction of women but, according to American liberals, there are only a “few warlike Muslims so we can’t damn the whole religion.” And yet. And yet, my liberal friends damn everyone to the Right of them for a few right wing nutcases at abortion clinics. Or most any Christians. Looks like I am indeed a liberal in the first sense but Ms. Giles and the other self-proclaimed “liberals” I know hew to the second. They are as incorrect or inaccurate with the facts as possible. Or perhaps it was just an inexact translation. 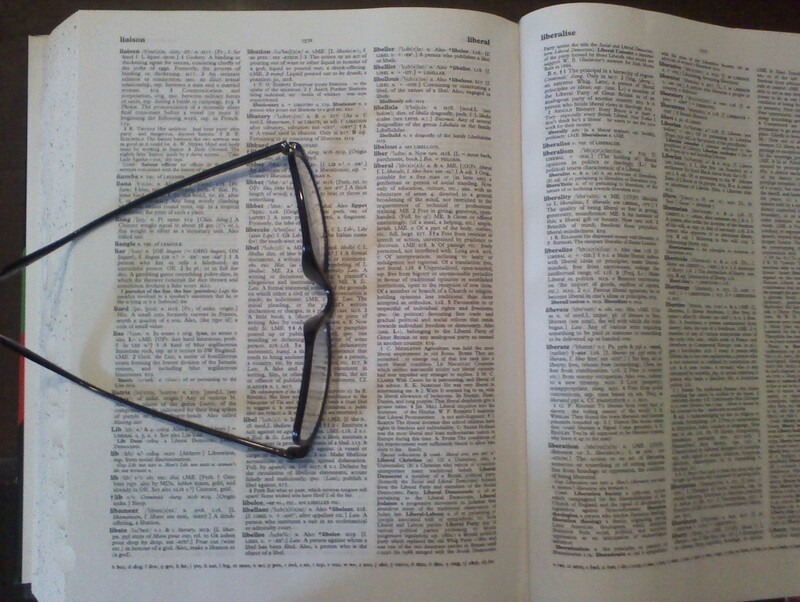 Let’s go back to Ms. Giles’ dictionary. liberal adj. Of or pertaining to representational forms of government rather than aristocracies and monarchies. That’s interesting but it’s not in my printed copy of the O.E.D. Here’s her next definition. liberal adj. believing the government should be active in supporting social and political change. Oh, boy. That’s out of Wikipedia or the Socialist’s Bible but it has everything to do with politics and nothing to do with the dictionary. liberal adj. Tending to give freely; generous. Ooo. I’m down with that, too. Of course most people know that the leader of the American liberal party, Barack Obama, grudgingly started giving more than a pittance to charity about the day after he decided to run for president. In other words, once people would actually notice. The leader of the other guys (that would be Mitt Romney, circa 2012, or Donald Trump today) has given away a big percentage of his, quietly, every year he’s had income. On a more personal level, all the liberals I know want to control my income while my efforts go into an arts council and Anne’s into the Special Olympics. Our choice. Money and politics. Ms. Giles wants control of both and that’s not very liberal. liberal adj. Favourable to or respectful of individual rights and freedoms; spec (in politics) favouring free trade and gradual political and social reform that tends towards individual freedom or democracy. I may not respect but I do accept your incredible naivete, behavior, and opinions that differ from mine. I give of myself without asking you to do the same. I believe in local control, free trade and social reform that moves us toward individual freedoms and democracy. Yup. I’m a liberal. And you’re not. Lives Matter? Really? Are You Sure? 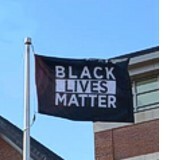 The Student Government Association ran a Black Lives Matter flag up the University of Vermont flagpole on Thursday. Not everyone is saluting. Flags representing other groups have flown from the same flagpole. A number of dissenters think “All Lives Matter” in ultra-diverse Vermont and especially should at our public ivy. But only black lives matter. 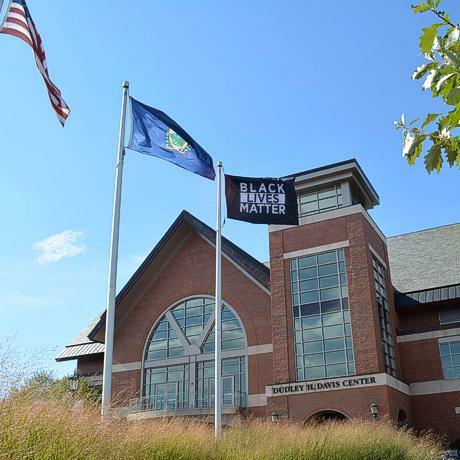 “The #BlackLivesMatter flag that was casted on UVM’s campus yesterday makes me proud to be a Catamount.” Cassidy Derda (@m1ss5cass) tweeted Friday. But in the UVM society only black lives matter. “My body filled with lots of joy to know that my predominantly white university is paying tribute to the deaths in the black community,” student Akilah Ho-Young posted on Facebook. Turns out that I’m not black, my voice doesn’t matter. Black lives do matter, but those raising flag do so to shut down discussion. That’s what all the protesters, including those at UVM, would have us believe. The effects are different. “But it is so easy to co-opt the flag,” she said. But the welfare state keeps people in poverty so that’s not the solution and in the meantime, cops have to respond to the crimes that have been committed and the big news is that black on black murder is about five times more likely than white on white. Where do you think crime prevention efforts should go? How about we say Crime Matters? This year, I’ll prosecute the rioters and looters and illegal aliens and traitors and cops who unlawfully kill whites and the blacks who kill cops while you prosecute the cops who unlawfully kill blacks. UVM president Tom Sullivan stands behind the student government’s decision to display the flag.